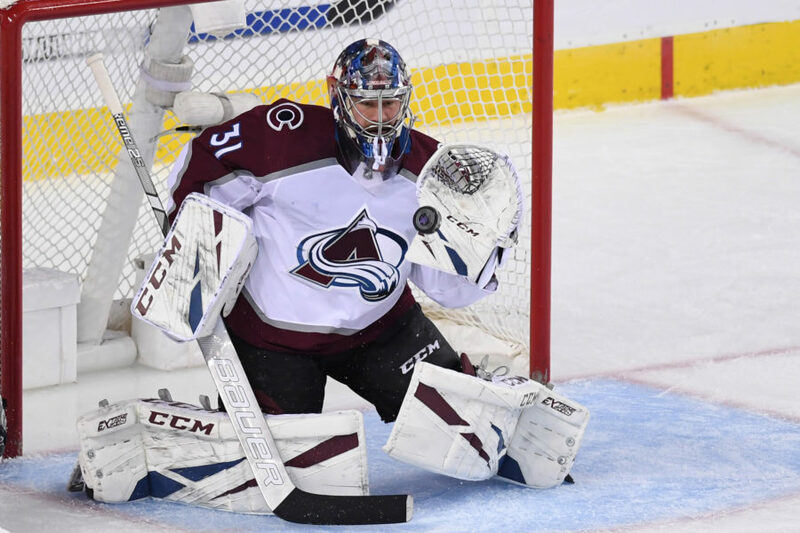 The Colorado Avalanche have barely gotten involved in free agency—with the exception of signing P.A. Parenteau to a four-year deal—and now need Alexander Semin to compete in the Northwest Division. Colorado GM Greg Sherman has spent most of the offseason negotiating with players from last season’s team instead of chasing after some of the top free agents on the market. He’s done a good job at getting some of the core Avs to sign new deals—Matt Duchene, Steve Downie and Erik Johnson, to name a few—but he needs to pursue other options. Over the past week, Sherman has only made one big move—signing Parenteau. He also signed former New York Ranger forward John Mitchell and former Boston Bruin defenseman Greg Zanon, but that’s it. Bringing back virtually the same team with a few minor additions is not going to help win the Northwest. Last season, Colorado finished third of the five Northwest teams with 88 points. The Avs were seven points behind the No. 8 Los Angeles Kings—who went on to win the Stanley Cup. The Vancouver Canucks ran away with the division while the Calgary Flames finished just ahead of the Avs. The Minnesota Wild clearly weren’t happy with their fourth-place finish last season and decided to make major improvements to their roster. Minnesota signed arguably the top two free agents—Zach Parise and Ryan Suter—yesterday to blockbuster contracts. Minnesota already has some good players and, by adding Parise and Suter, it is nearly guaranteed to play better next season. Colorado has to answer these moves or else it is going to fall into the Northwest’s cellar despite all of its young talent. It can do this by signing the next-best free agent still on the market—Alexander Semin. Semin has been great for the Washington Capitals over the past six seasons, tallying point totals as high as 84. Last season, Semin scored 21 goals and had 33 assists, which gave him the second-highest point total on the Caps. He’s the playmaker that Colorado needs in order to make a run at the top spot in the Northwest. Semin is going to want a big contract, which shouldn’t stray Colorado away. The Avs currently have nearly $18 million in cap space, according to CapGeek.com, and really only need to sign Ryan O’Reilly and Jamie McGinn to new deals. That should still leave plenty of money to pursue Semin. There hasn’t been any confirmation of Colorado’s interest in Semin, according to Adrian Dater of the Denver Post, but that doesn’t mean that a deal couldn’t be worked out. Dater questioned whether Semin would be a good fit in Colorado and was unsure of what the Avs should do. With the signings of Parise and Suter to Minnesota, Colorado has to answer with Semin. There aren’t many other players with the talent level of Semin that are still available on the market. The Avs can’t be satisfied with what they have. Unless Colorado is OK with another playoff-less season, it needs to sign Alexander Semin. Without him, it will be tough to compete in the revamped Northwest.